Welcome to Sandpiper Energy, a Chesapeake Utilities company. We are proud to provide you with reliable and cost effective propane or natural gas service starting on June 1, 2013. As you may know, Chesapeake Utilities Corporation (NYSE: CPK) has received all approvals necessary and has officially acquired the operating assets of Eastern Shore Gas Company (ESG), your previous propane supplier. With the acquisition of ESG, Chesapeake introduces Sandpiper Energy (www.sandpiper-energy.com), the new gas service provider in Worcester County. 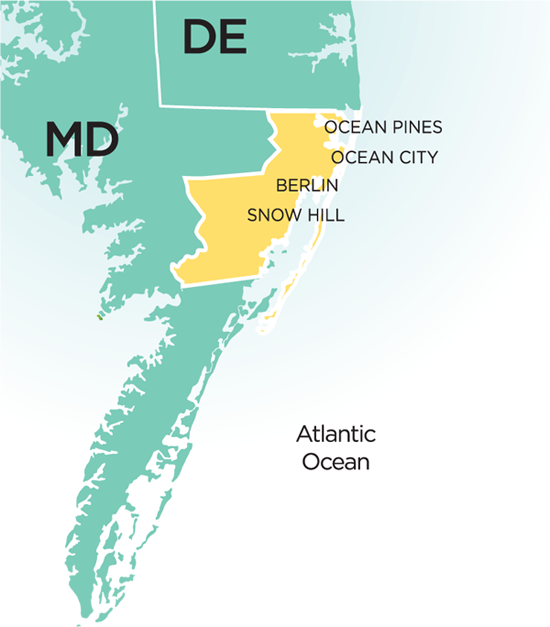 Sandpiper Energy will initially continue to provide propane distribution service to approximately 11,000 residential and commercial customers located primarily in Ocean City, West Ocean City, Ocean Pines, Berlin, Pocomoke and Snow Hill. The propane distribution service is provided from central storage facilities through underground gas distribution mains and services. We are currently evaluating the potential conversion of certain former ESG facilities from propane to natural gas, and we will proceed with conversion where economically feasible. As our customer, you will be charged regulated rates and prices based on the rate schedules approved by the Maryland Public Service Commission regardless of whether you use propane or natural gas. We estimate that in the first year we will save Worcester County customers over one million dollars in energy costs based on these approved rate schedules and prices. Our parent Company, Chesapeake Utilities Corporation, is a diversified utility company engaged in natural gas distribution, transmission and marketing; electric distribution; propane gas distribution and wholesale marketing; advanced information services and other related services. With the addition of ESG customers, Chesapeake, through several divisions and subsidiaries, will provide natural gas and propane distribution service to approximately 103,800 customers on the Delmarva Peninsula. Chesapeake owns and operates a 428-mile interstate pipeline that transports natural gas from various points in Pennsylvania to customers in Delaware, Maryland, and Pennsylvania through Eastern Shore Natural Gas, their pipeline transmission subsidiary. You can learn more about Sandpiper Energy by finding us on the web at: www.sandpiper-energy.com. In addition, expect to see further communications from us in the coming weeks and months on a variety of service topics and subjects. We look forward to serving you and meeting your propane or natural gas needs. Again, we welcome you to Sandpiper Energy, a Chesapeake Utilities Company.